Laura Ingraham: Those Migrant Children Are Essentially Being Detained In DOJ "Summer Camps" [VIDEO] - Joe.My.God. 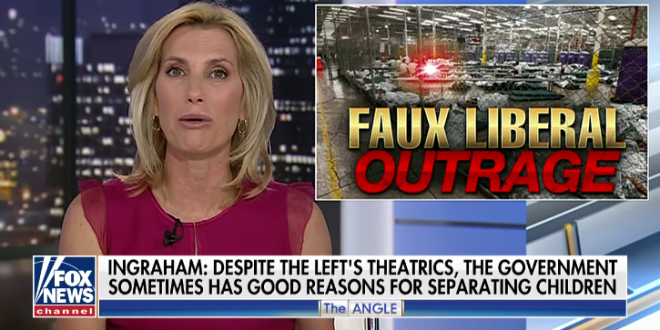 You pulled your advertising after Ingraham made fun of a teenage school shooting survivor, then you went back. Now she’s calling children kept in cages after being separated from their parents “summer camp”. Now accepting applications for Laura Ingraham’s Summer Camp! Your child will learn how to properly fold a foil emergency blanket and how to decorate the inside of a cage.